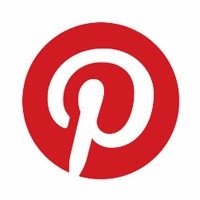 This is another article in an occasional series aimed at beginners called “Things Experts Forgot to Tell You” or “Things that You Forgot you had to Learn.” Read more of this series here. The previous article about camera lenses provided an overview of the naming conventions of camera lenses as well as a translation to use in decoding all the various abbreviations in lens names. 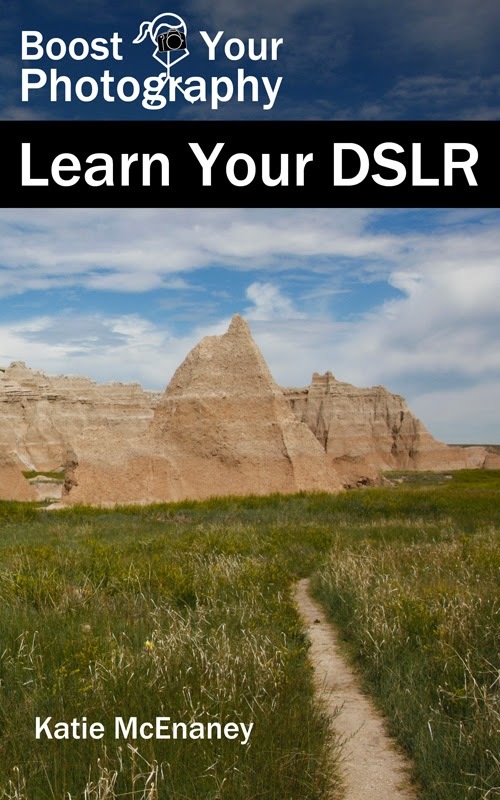 This article will walk you through the basic features of a DSLR camera lens and provide an overview of each of the important labels, switches, and features. There are many important pieces of information that you will find written onto the body of your camera lens. 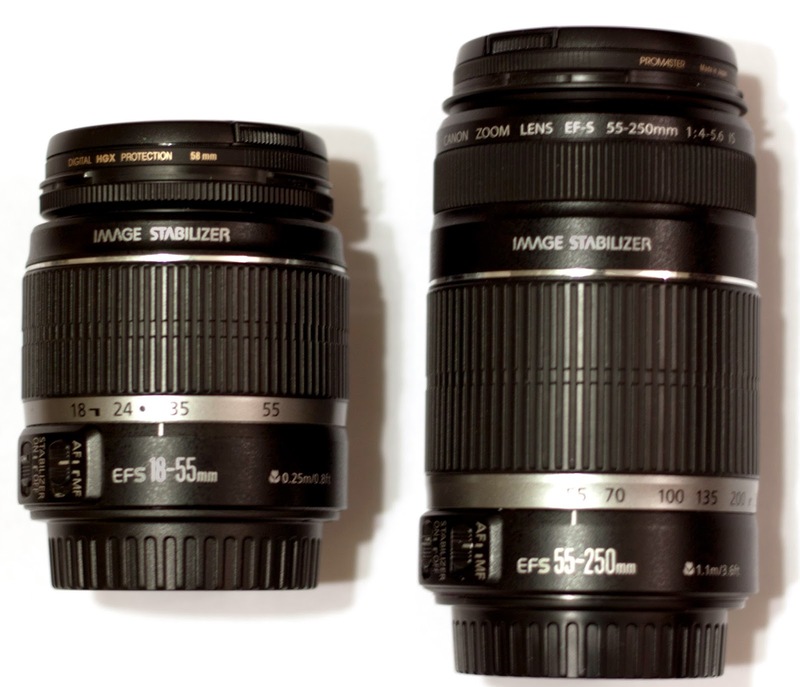 The first is the name of the lens itself, such as Canon EF-S 18-55 mm f/3.5-5.6 IS II SLR (below on the left) or Nikon 18-55mm f/3.5-5.6G AF-S DX VR Nikkor Zoom Lens. Read Camera Lenses: What’s in a Name? for a more detailed treatment of camera lens names. These are my first two lenses, sold as part of a kit with the Canon T1i body. You can refer to these images to find the features described below, but it is more useful if you have your own lens(es) in front of you to refer to. A second piece of information written onto the lens is the focal length. This is often in the name of the camera as well as written on the barrel of the lens, often near where the lens attaches to your camera body. A prime lens will have just one focal length (such as 50 mm), while a zoom lens will list a range of focal lengths (such as 18-55 mm). If you have a zoom lens, the largest adjustable cylinder on the lens' body will allow you to adjust the focal length. You will see a range of focal lengths listed, often from widest to narrowest, on the cylinder itself. Rotating the cylinder all the way in one direction will give you your widest focal length (such as 18 mm), while rotating the cylinder all the way in the other direction will give you your narrowest focal length (such as 55 mm). Whether this rotation is clockwise or counterclockwise depends on the manufacturer of your lens. If you look down at your camera lens while rotating, you will see some sort of mark (white line on Canon lenses) that points to which focal length you have currently selected. If you purchase a longer zoom lens (with a fairly wide range), then it may come equipped with a 'lock' switch. This switch allows you to lock the lens in its most compact position (often the widest aperture). This is particularly useful when carrying around your camera, as it prevents the entire lens from randomly zooming out to its longest length. A lock is unnecessary on a prime lens and is not always a feature on starter lenses. The smaller adjustable cylinder on your camera lens is the focal ring. If your camera is set to autofocus, then the camera will direct the lens to adjust this ring until it achieves focus. If your camera is set to manual focus, then you will rotate this ring in order to achieve focus. Older lenses or those intended for manual focus, may have written indicators on the focal ring that tell you the approximate distance (usually in feet for a US manufactured lens) to the object in focus. On the Tamron lens above, you can see that the lens is currently focused to infinity but can go down to 0.49 meters or 1.6 feet. Speaking of manual focus and autofocus, there is an important switch that controls those, which is located on the camera lens. It is often a little push switch with two labels: AF (autofocus) and MF (manual focus). You should always leave this switch pushed over to AF unless you have a reason for using manual focus. There is usually an indicator on your camera's rear display that will let you know if you have switched your lens into manual focus mode. The second switch on many cameras is for image stabilization (also called vibration control or vibration reduction) and can be switched either on or off. In most circumstances, you will want to leave this turned on. The only time you might want to turn off the stabilization function is if you are using a tripod. Because a stabilized camera 'expects' some form of motion, it can actually add motion to your shot if you are using a tripod to hold the camera perfectly steady. If you do turn stabilization off when using a tripod, I recommend turning it back on again right when you are finished. There is another important indicator related to focus that is written on your camera lens. This is known as the minimum focusing distance, and it is the number (in feet and meters) that follows the little tulip flower symbol. The minimum focusing distance tells you the closest you can be to your subject while still being able to focus. If you move closer to your subject, your camera will be unable to find focus and the autofocus will hunt around (and occasionally make strange sounds. Read more in Why Won’t My Lens Focus?). 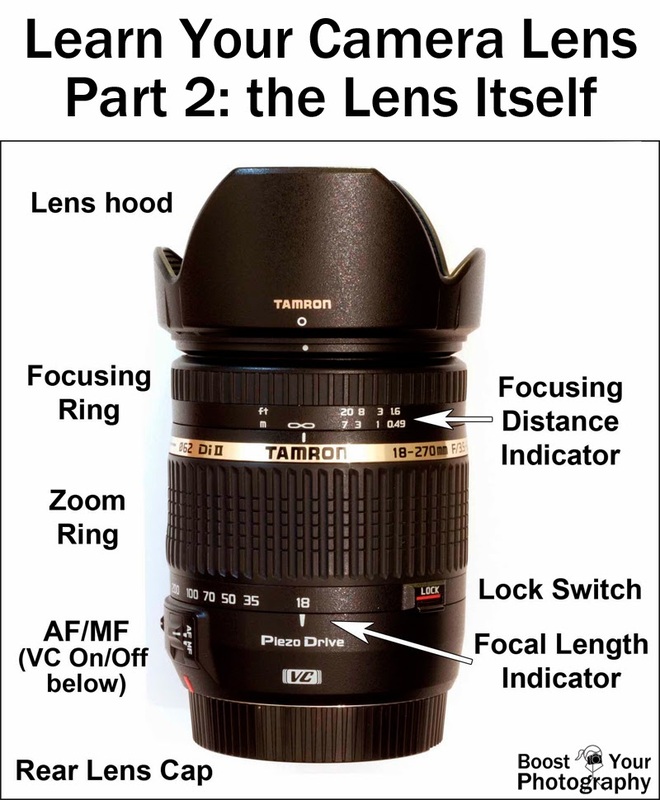 This is another one of those extremely useful pieces of information that often do not get explained when you buy your first camera and lenses and knowing it can save you a lot of frustration and confusion down the line. You can learn a lot from your lens, and there are several important features and adjustments available. Your lens can often do more than simply focus or zoom in and out. Now that you know about features like the 'lock' mechanism or the auto/manual focus switch, you may find you are using them more often. The last article in this short series on lenses will describe some of the most common accessories for lenses and which you may need.